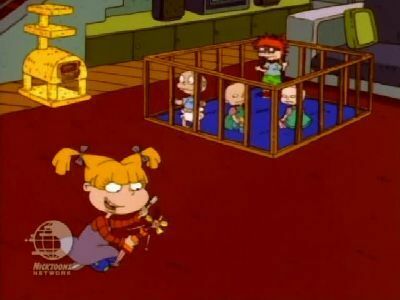 Rugrats reveals the world from a baby's point of view. Everything looks bigger, more mysterious and uncontrollable. Angelica, the oldest, likes to terrorize her cousin, Tommy, and his friends, and is famous for screaming, "You stupid babies!" The adults in the series are often clueless. Angelica and her parents are moving to New York, only to have their plans thwarted by Jonathan at the last minute. 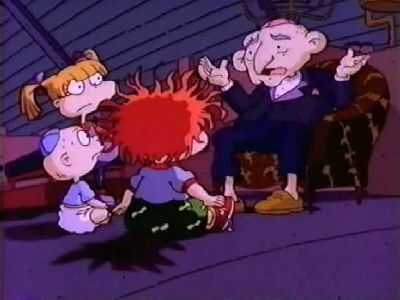 Tommy explains to the other Rugrats on how they met for the first time, thanks to Angelica's lies about each other. This is the original series finale of Rugrats. Special: After arguing with Minka over his spotted glasses, Boris runs away. 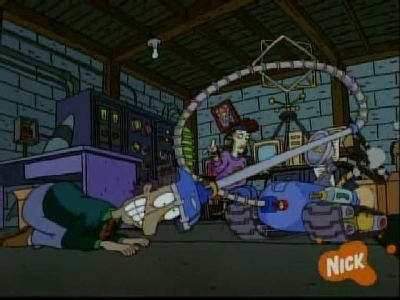 Later, after feeling bad, he decides to get Minka's glasses, only to be trapped in the attic by Angelica, Tommy & Chuckie. Each family member finds him, as well as end up being locked in the attic (it locks from the outside). While in the attic, Boris tells the story on how Passover was established. Angelica, imagining the story as it unfolds, picture herself as the Pharaoh, Tommy as Moses, and the babies as Hebrew slaves. A very interesting episode. Special:The Pickles and their friends spend the day making dinner and watching parades and football on TV. However, their plans ran amok when no one bought a turkey for dinner, so the ladies went to the store to get one, only to leave with turkey alternatives, like turkey hot dogs, and they ruined that, too. Meanwhile, the guys set up multiple satellite dishes so they can watch an array of football games, but their fun broke down when they all argue on what game they should concentrate on, with Chazz voting for the non-traditional nature documentaries. 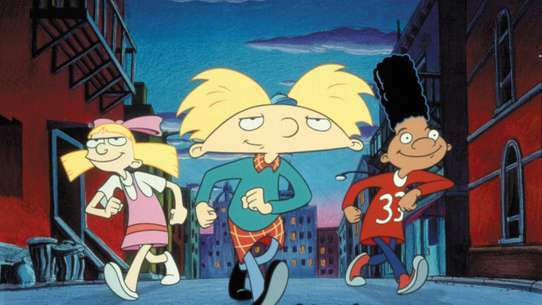 Also, Angelica and the Rugrats put on a parade, only that the adults were either cooking or watching the games. All of them placed a blame on a live turkey Grandpa won in a canasta game. 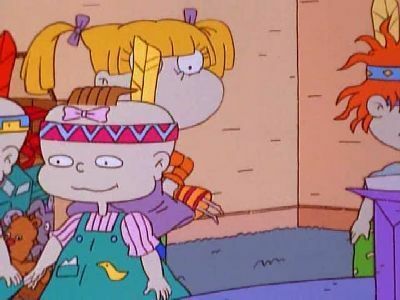 What Angelica really wants is to see that turkey get cooked for Thanksgiving, something the Rugrats don't want, even though it ""caused"" so much trouble. 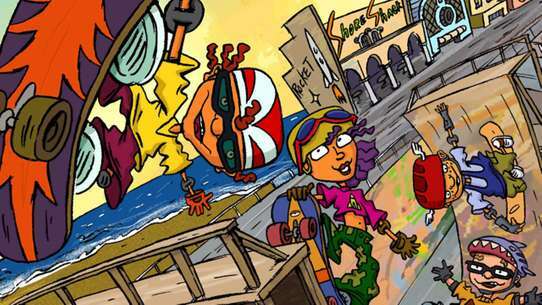 The Rugrats, Stu and Chazz go to the mall and look for some kind of grill. Stu gets hooked onto the football game and forgets about the babies. The babies wander around the mall and find a fountain, and see a turtle they think belongs to the fountain. They bring it back, ending up bending the top and buying it with the Turtle. 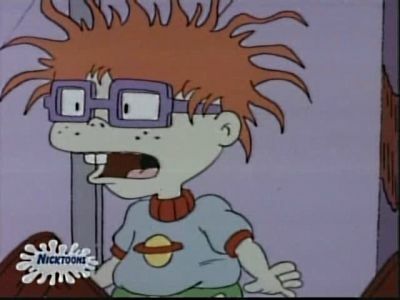 Chuckie hates being noticed by everyone because of his red hair, so he uses Grandpa Lou's hair dye and turns it black, only to realized he liked getting attention in the first place. The Pickles plan to spend the weekend at Boris & Minka's rented cabin in the woods. The cabin lacks any modern conveniences, such as indoor plumbing. However, when they mentioned that they're going there to help protect the cabin from the elements, Tommy & Chuckie thought that they're going to the fabled ""Old Country"" to protect the cabin from the ""elephants"". Meanwhile, Chazz goes out into the woods to find his inner caveman. Grandpa Lou tells the story of how much Stu and Drew fought as babies and try to get th eold tv working so they can watch the TV show, ""Blocky and Oxwinkle"". 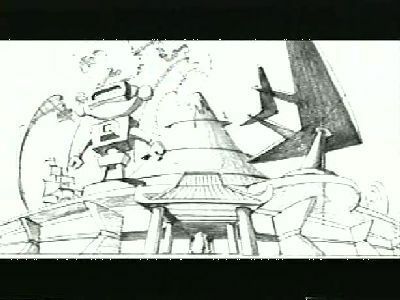 Special: This mini-documentary, first seen at the end of the ""Rugrats Discover America"" video, takes a brief, 7-minute glimpse into the making of the Rugrats' second movie, including clips, pencil tests, pictures and other behind-the-scenes stuff, plus some words by Arlene Klasky, Gabor Csupo, Mark Mothersbaugh, Stig Bergqvist, Paul DeMeyer and most of the main voices. For details on the new film, click here. Captain Blasto, ( Which Was Around Since The 1950s),is Stu and Drew's favorite. 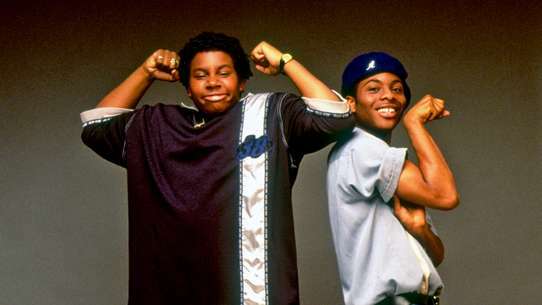 They take the babies to a live shooting of an episode and Chuckie wants to be a superhero. His First Order of Business,take Angelica Out! The Rugrats listen to the story of Pinocchio on tape. Later, during the day, Angelica destroyed Didi's jigsaw puzzle and ate all of Grandpa's candy bars, pinning the crimes on Spike & Fluffy,. That night, while she's sleeping, a mosquito bites Angelica,s nose. 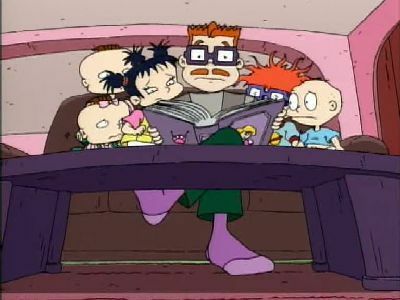 The next day, after she breaks Charlotte's very expensive vase, she places the blame on the Rugrats. the Rugrats tell her that it's growing because she's lying, but she won't believe them. When she tells them that she has trouble telling the truth, the Rugrats help her tell the truth. When Spike suddenly runs away, Tommy is sad. So Stu and Didi try new pets. The poodle is too mean, the gerbils have ran away and Grandpa Lou squished the spider. Will Spike come back or will he never come home? Didi takes the babies to an art museum where they cause trouble. Chuckie's afraid of losing his friends after the Rugrats are attracted to Kimi's adventures. 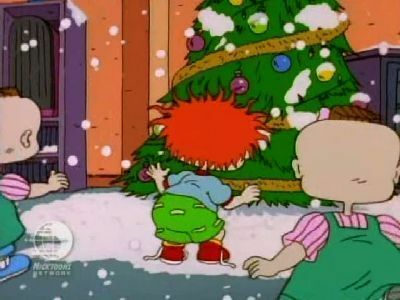 Special: The Rugrats find presents for their mother, but ended up trying to find Chuckie a mother, as he didn't have one. The answers for this mystery are in a special box, which Chazz doesn't want Chuckie to see. Meanwhile, Stu works on his present for Didi -- a robot that uses ""Clapper"" technology and used to automatically cook AND serve a person's meal, as well as clean the house (like his other inventions, it went haywire), Betty uses a computer to collect her thoughts on being a mother of twins (using these thoughts to reprogram Stu's robot, it overloaded the computer), Didi takes Minka to the International House of Mud for a mud bath (Minka doesn't like bathing with strangers, and you can get all the mud you want at home for free), and Angelica builds a statue of herself using macaroni, gum, and glue (Chuckie broke it). Tommy gets hurt while rescuing a baby bird. To help his cut heal, Didi placed a Reptar bandage over it. After Phil & Lil noticed this, they try to get hurt too, so they can get Reptar wrapped around their fingers. Meanwhile, Angelica steps in, telling Tommy that he'll have to go to the hospital to sew him up so he won't get a ""reflection"" (infection) and get ""tangerine"" (gangrene). After that, Tommy refuses to have any fun, so he won't get hurt. Aunt Miriam and Lou were not nice to eachother. 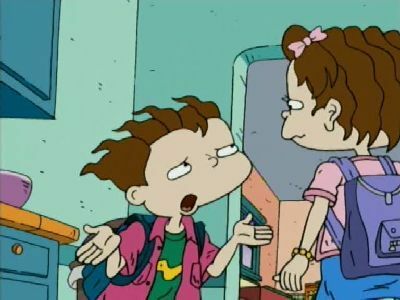 They always did and acted like Angelica and Tommy are today. Tommy and Chuckie go in the bathroom and Find A hairdryer, a radio, and a wig. They think She's an alien and investigate. 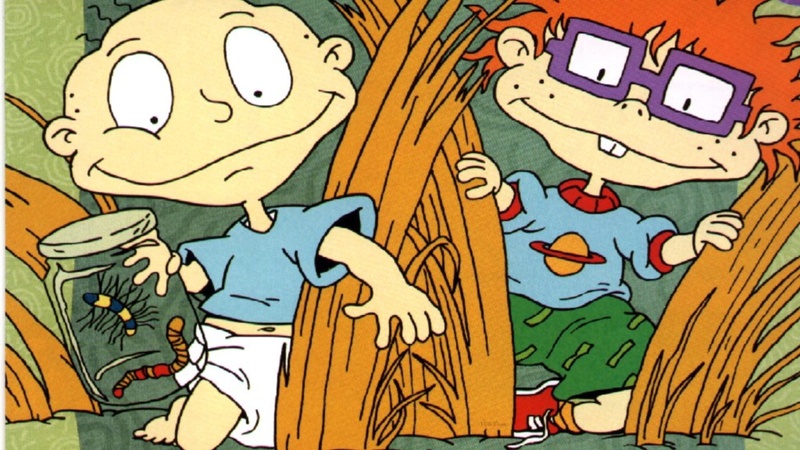 Melville, Chuckie's pet bug, died while in the other Rugrats' care. They try to find ways to avoid passing that fact to Chuckie. Chuckie has a girlfriend, Megan. They like each other in an unorthodox manner -- by teasing each other. At Grandpa's insistence, The Pickles take their annual Christmas picture in August, but since it's so far in advance, the Rugrats thought that Santa forgot the snow. They do everything to get him to stop for presents. 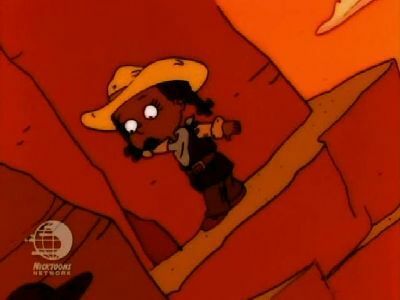 The Rugrats play ""Cowboys & Indians"", with Angelica playing ice cream thief after stealing coupons for free ice cream from an ice cream man. 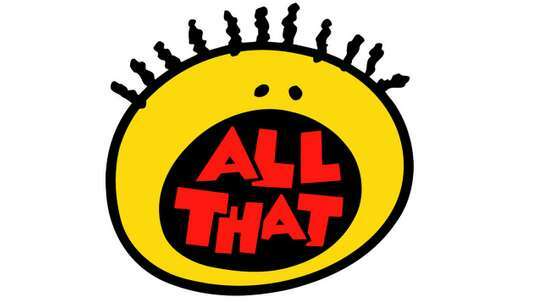 Special: This episode picks up where Rugrats In Paris has left off -- with the entire gang now back in the good old US of A, with Chazz a newly-married man, and, most importantly, Chuckie gaining a new mother and sister that he likes. But if you think that the Watanabe-Finsters are going to be in a total state of bliss from now on, think again -- as long as there's Angelica, there cannot be total bliss. 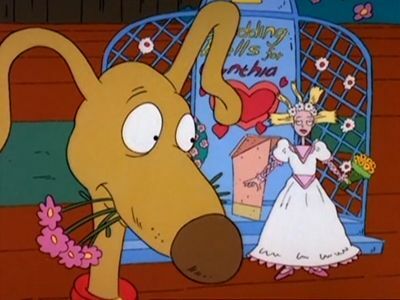 And who else but Angelica would put a damper on Chuckie's happiness? While Kira studies for a fairy tale play (which involves Cinderella), Angelica tries to trick Chuckie into thinking that he'll be living the same life as Cinderella -- virtually being a slave to Angelica and Kimi, while everyone else gets ready for a party that will celebrate the newlywed couple's adoption of each other's child, a couple of weeks after their marriage. Aunt Miriam is back; this time, we're visiting her place, as she, Grandpa, and her friends play poker. 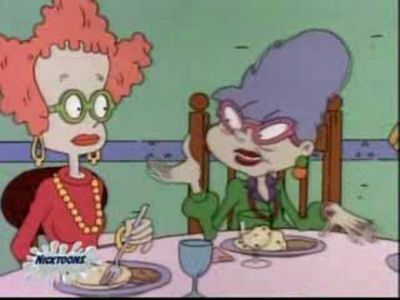 The Rugrats become scared of the old ladies when one of them jokingly commented that Chuckie was good enough to eat, and when Miriam recruited Chuckie to become her ""helper"" (which was genuine, but the Rugrats felt different). While Stu and Drew are cleaning Drew's boat, Chuckie and Tommy shanghaied Cynthia so she could be captain; however, when she got lost in the sewer system, it broke Angelica's heart. She did get her back, but not without sailing miles and miles in the sewers and taking a bath in toxic waste. Meanwhile, after being chased away by Angelica, Spike hitches a ride in a garbage truck to the city dump, which doubles as a ""scenic overlook"". .Lil says that dresses are better than pants, so Chuckie and Phil try it and they like it. Things go well until they go to the park and two babies fall in love with them, so they recieve help from these Scotish babies who all wear dresses.